Simple and fast touch user interface. Slim, lightweight design. 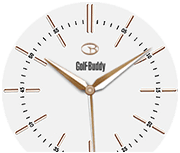 Course update with GolfBuddy Smartphone App. Notification sync with Smartphone. Preloaded with over 38,000 courses worldwide with free updates. 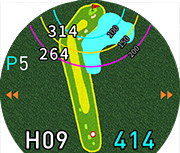 Automatic course and hole recognition. Distances to front/center/back of the green. Distance to hazards. 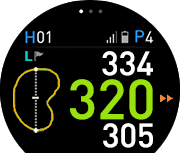 Dynamic green view and distance readings from the golfer's position. 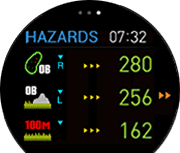 Dual green distances display. 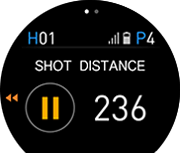 Shot distance measurement. USGA/R and A compliant - legal for handicap and tournament play. Interchangeable outer screen. 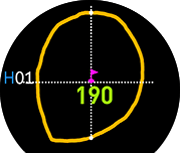 Hole layout view with current position of the player. Activity tracking pedometer. Rechargeable lithium-ion battery - 8 hours in GPS Mode. Smartphone App: Bluetooth notification, Smartphone finder. 2.32" x 1.65" x .52". 2.2 oz.